What is the title of the new Katy Perry movie? The poster thinks it’s Katy Perry Part of Me. The trailer thinks it’s Katy Perry Part of Me in 3D. IMDb thinks it’s Katy Perry: Part of Me. 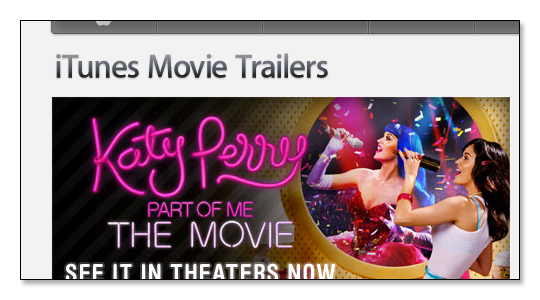 iTunes thinks it’s Katy Perry Part of Me The Movie. The BBFC think it’s Katy Perry – Part of Me. Chris Tookey thinks it’s Katy Perry: Part of Me The Movie 3D. 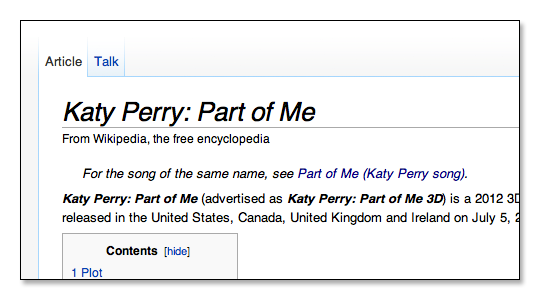 Wikipedia thinks it’s Katy Perry: Part of Me (advertised as Katy Perry: Part of Me 3D).